Give a perfect look to your décor by placing this beautiful handknotted Moroccan rug which is designed in Moroccan style and geometrical pattern. The soft color combination of this carpet gives an outstanding look. 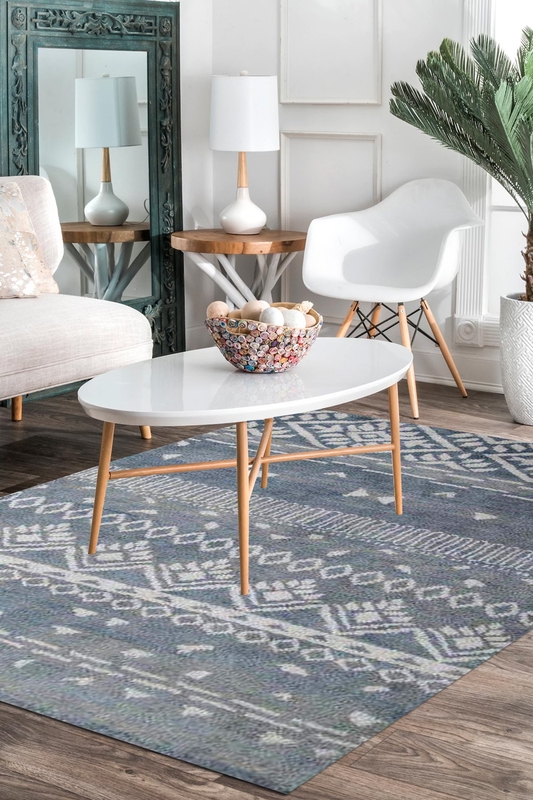 This durable and expertly crafted Moroccan style hand knotted rug is made with high-quality pure New Zealand wool and cotton material by artisan rug makers. This rug is totally hand-washable rug which you can clean at your home. Hand-knotted results in this rug that prevents curling and keeps its quality over time. 100% New Zealand wool blend Wool Pile feels soft and plush underfoot. Finest quality of cotton is used for adding durability to this rug. The design of this carpet has been inspired by the 20th century of Moroccan style.